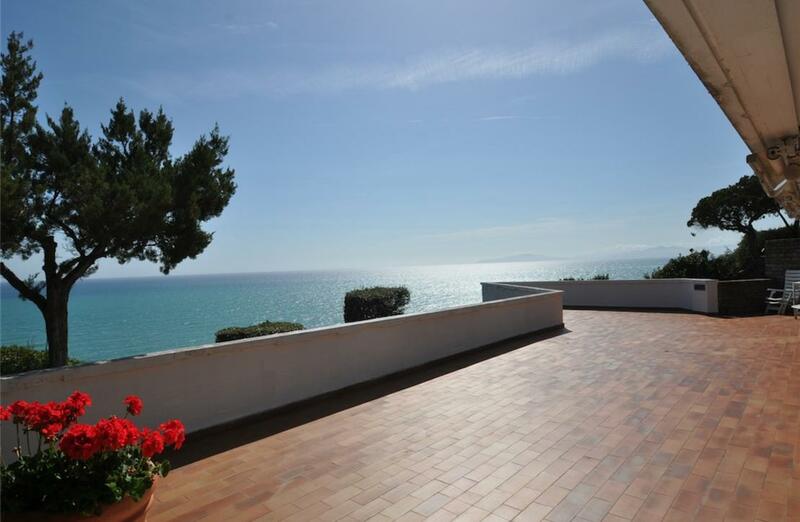 for sale villa overlooking the sea in Tuscany. 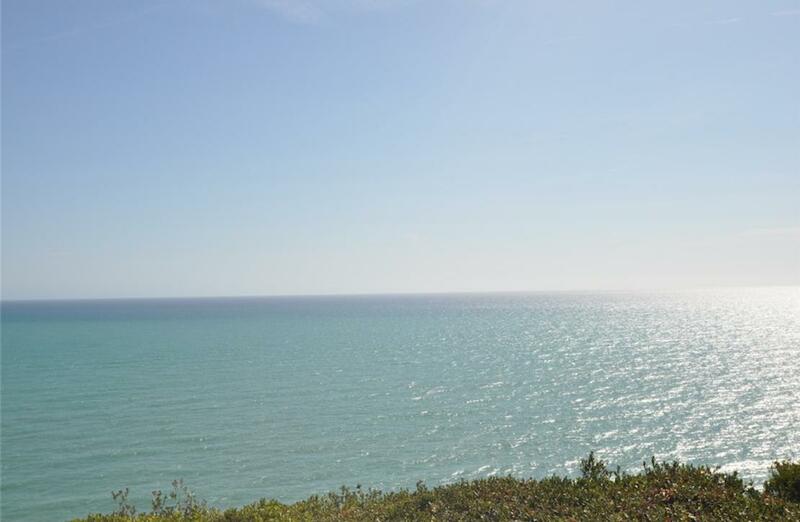 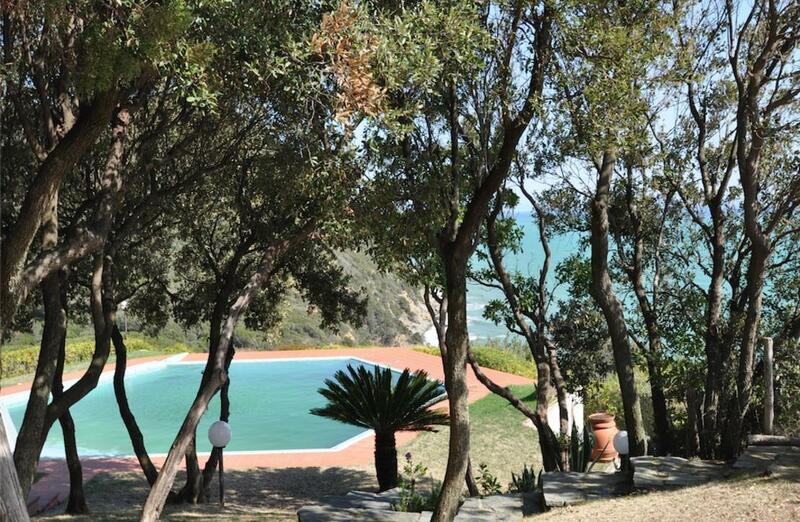 Located on a cliff overlooking the Mediterranean sea, we present this stunning villa with one of the most beautiful views of the Tuscan coast, characterized by clear waters, green vegetation and islands. 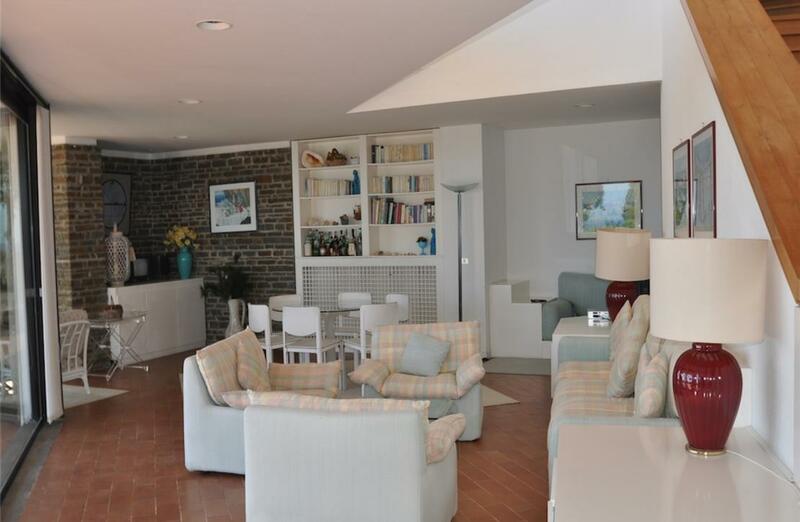 This villa is one of the few that has the exclusive pedestrian access from the street and a second access by car, with private covered parking. 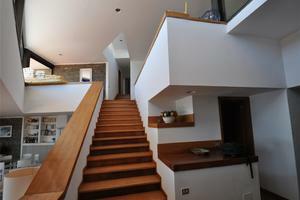 The house in question is on two floors for a total surface area of approx. 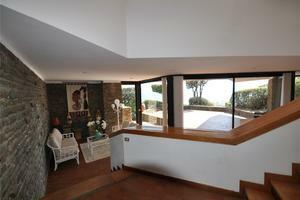 400 sqm: Ground floor: entrance hall with large corridor leading to the lounge where a large window offers stunning views of the sea; the walls are whitewashed and partly in exposed brick as a contrast, on the same floor there is a living room with a balcony overlooking a large terrace and a dining room with fireplace surrounded by large windows. 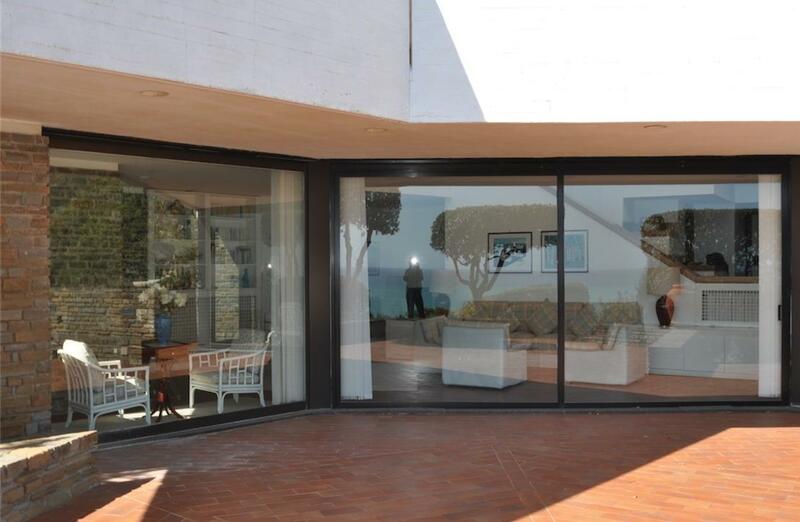 From the dining room one enters into the garden through French doors where the swimming pool below can be seen. 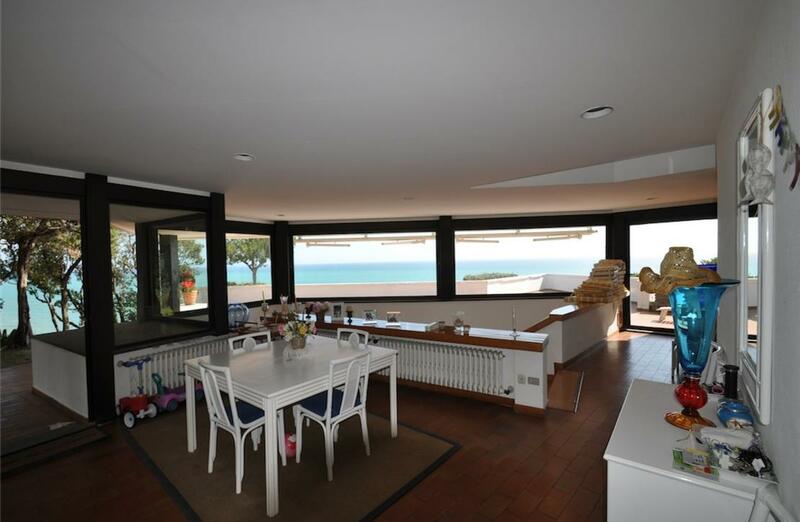 On the left side there is a large kitchen fully equipped with modern wall units in white lacquered wood, with all appliances, a large stove, breakfast bar with stools. 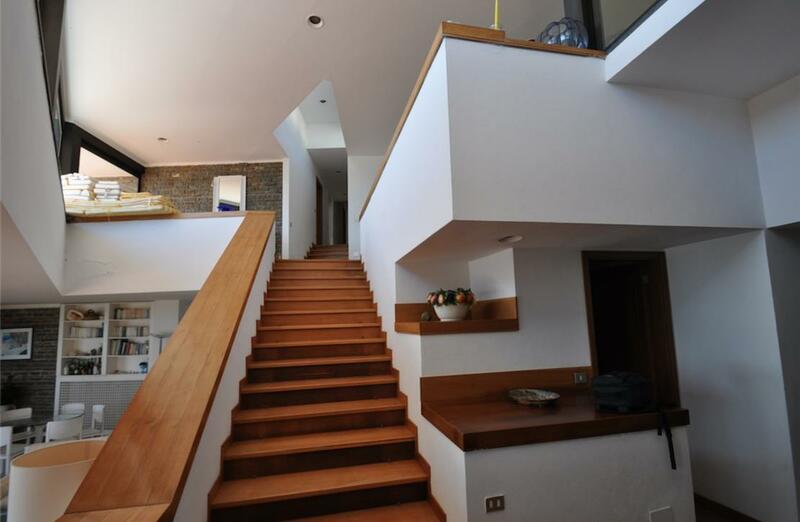 First floor is accessed by stairs from the living room. 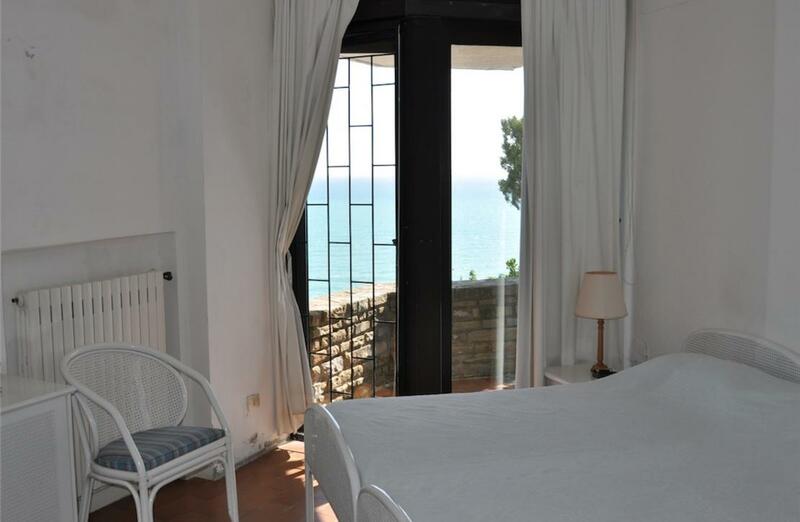 A large hallway leads to the four double bedrooms each with ensuite bathroom and access to the balcony with panoramic sea views. 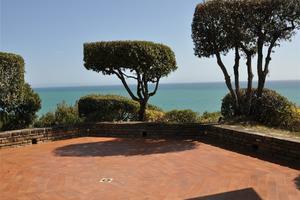 The villa is surrounded by a garden of approx. 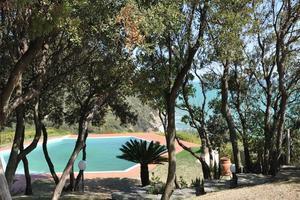 4000m, very well maintained, full of trees and beautiful plants of different species. 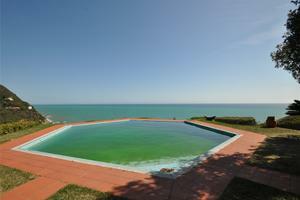 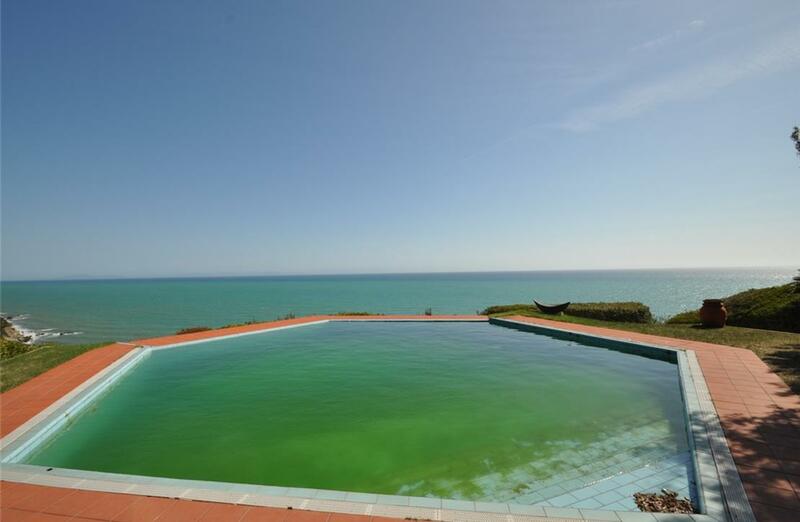 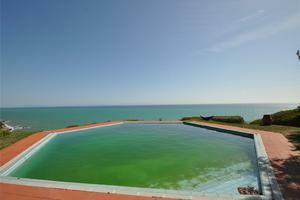 The swimming pool is kept in perfect condition, and enjoys a privileged location with stunning cliff top and sea views. 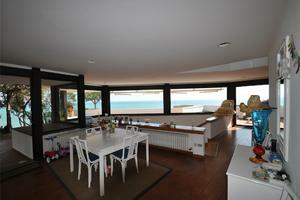 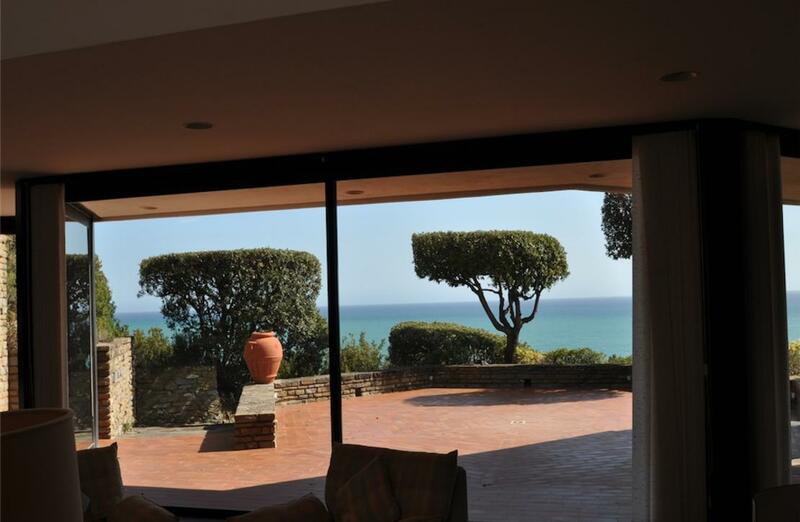 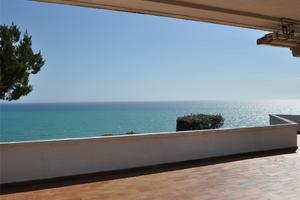 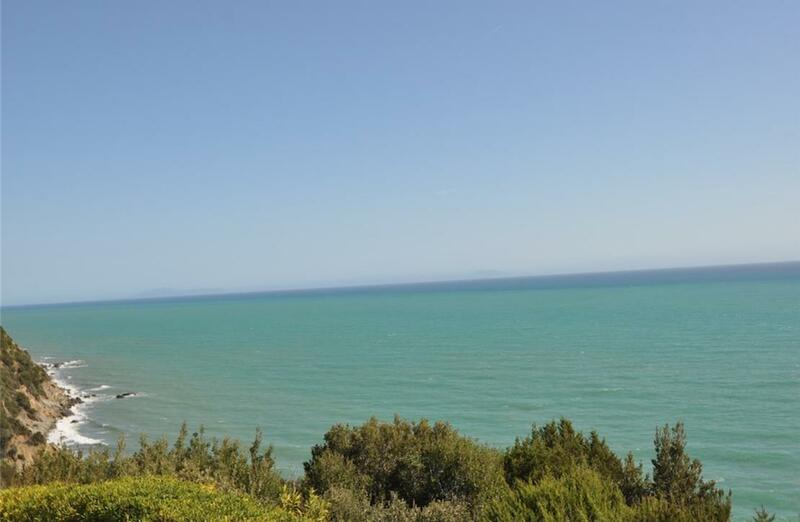 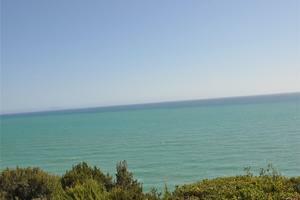 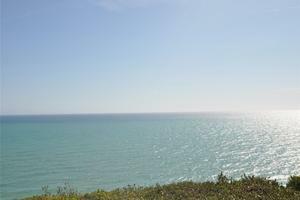 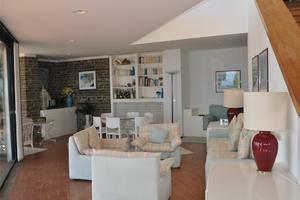 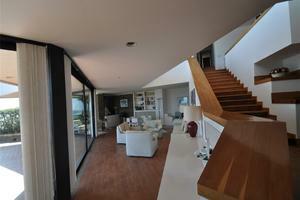 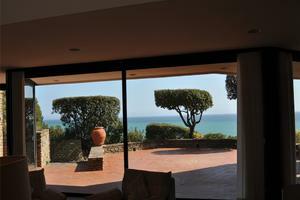 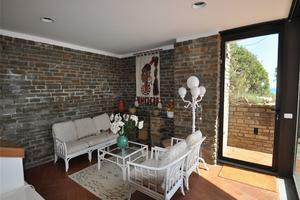 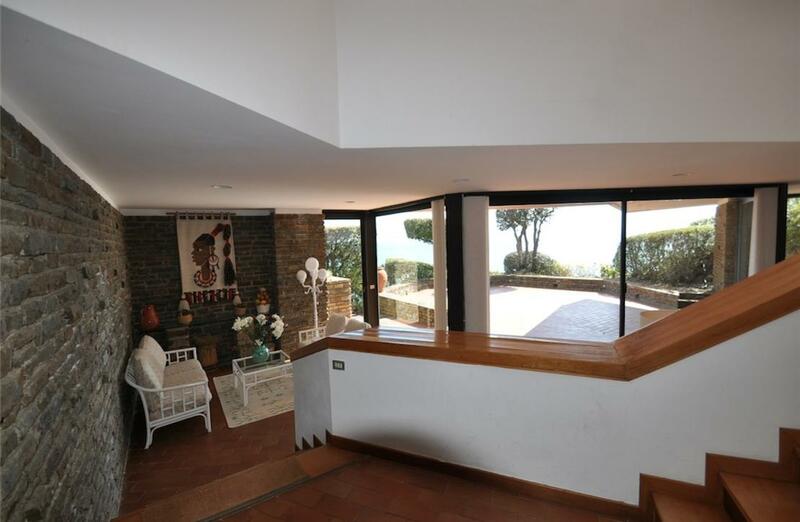 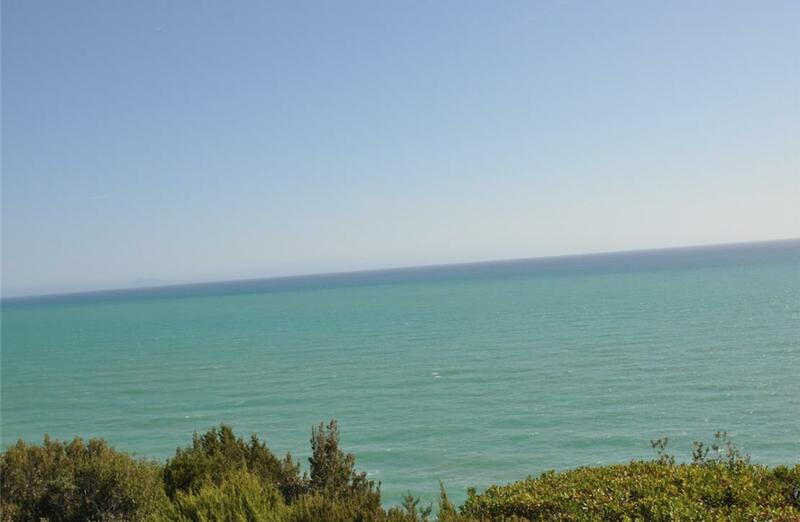 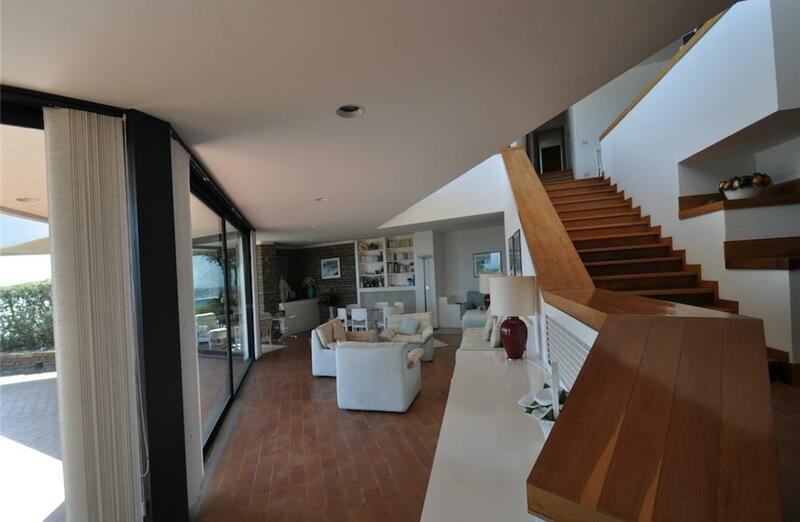 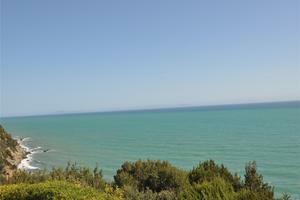 This villa for sale overlooking the sea ,in Tuscany, is fully equipped with air conditioning.